Aren't these earrings fantastic? They came in my newest Rocksbox and I love how much of a statement they are, while still having the ability to be casual. On this day (didn't take outfit photos, sorry) I paired them with a chambray button up, some dark washed cropped jeggings, and my lovely blue Loly's. They were just the right amount of sparkle to make the outfit look less bland. I knew I wanted to do eye makeup for this week's Makeup Monday, and I decided I would do something that matched the earrings! 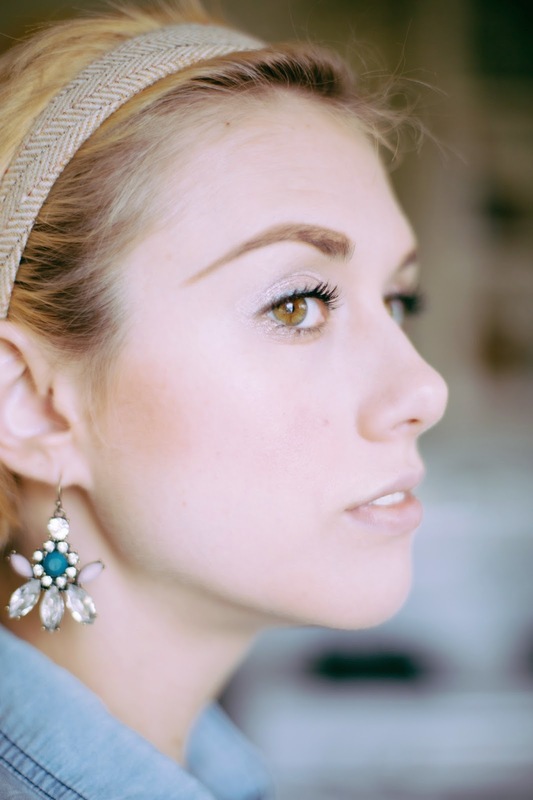 I did a subtle look that you could totally wear with anything, earrings to match or not. The tutorial goes photo-by-photo, and a description under each. Let me know if you guys would prefer videos, or if you like the photo tutorials! 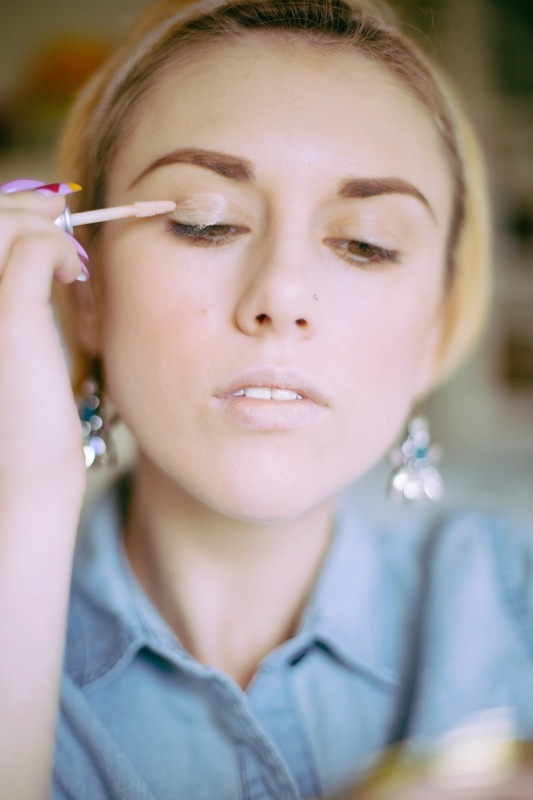 Step 1: Cover both eyelids with a thin layer of primer. 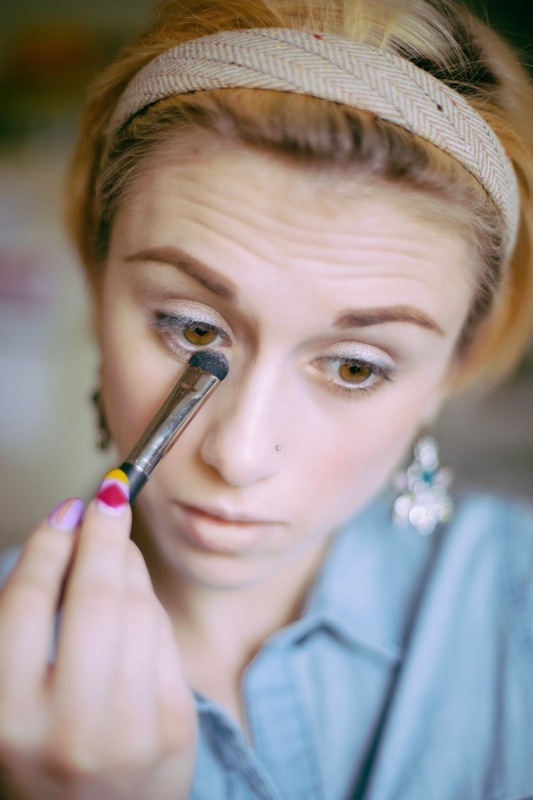 This isn't mandatory, but it will allow your makeup to last all day without creasing. I used Urban Decay's Eyeshadow Primer Potion, which is the best one I've ever tried, and I have tried a ton. 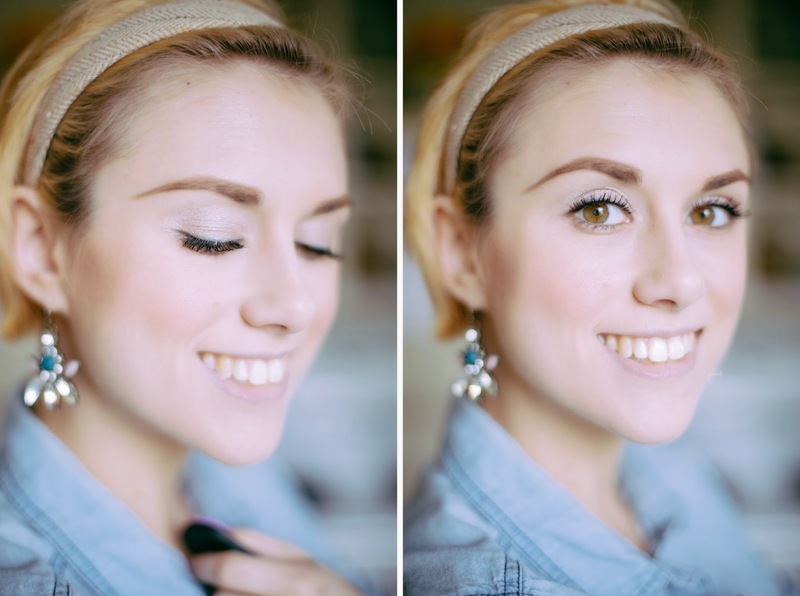 Step 2: Use a light pink eyeshadow to cover your entire lid. 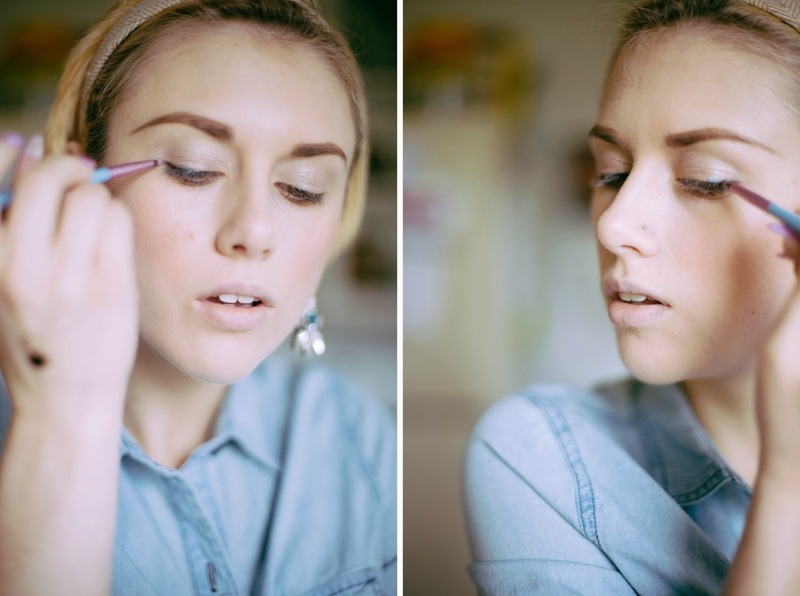 I used Urban Decay's Sin and applied with a Sigma E55 brush. 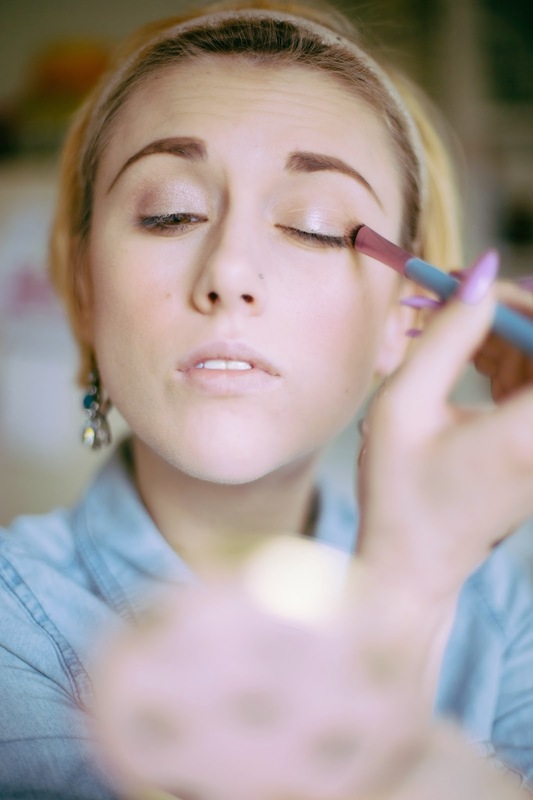 Step 3: Use a paler pinky-beige shadow to rim the inner corners of your eyes. I used Urban Decay's Skimp applied with a MAC 219 brush. Though Skimp is no longer available, their color Virgin is quite close. 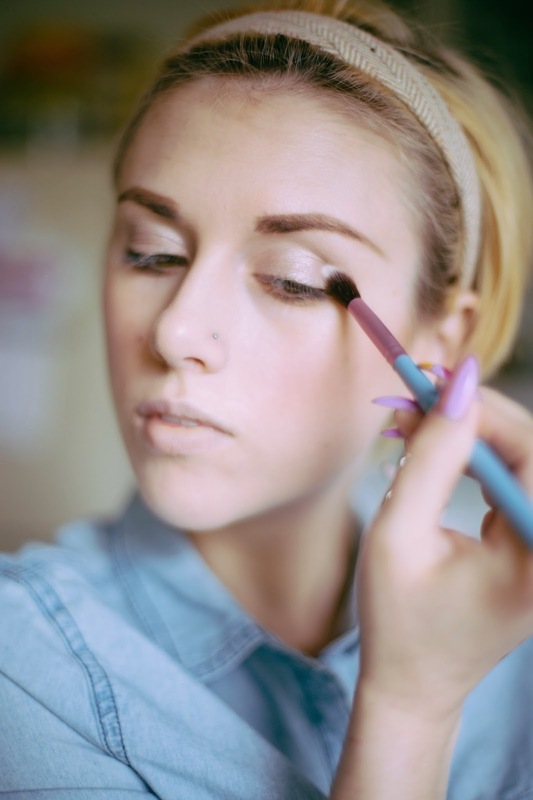 Step 4: Blend a shimmery white shadow into your crease. I used Urban Decay's Zephyr applied with a Sigma E40 brush. 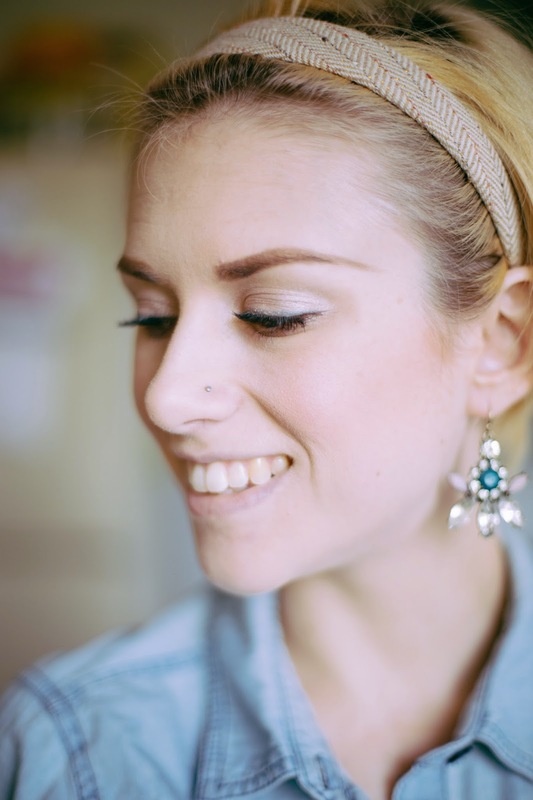 Step 5: Take a turquoise shadow and use it to line your upper lid. Add a wing if you're feeling it, or just keep it simple. I used Urban Decay's Hijack applied with a Sigma E05 brush. 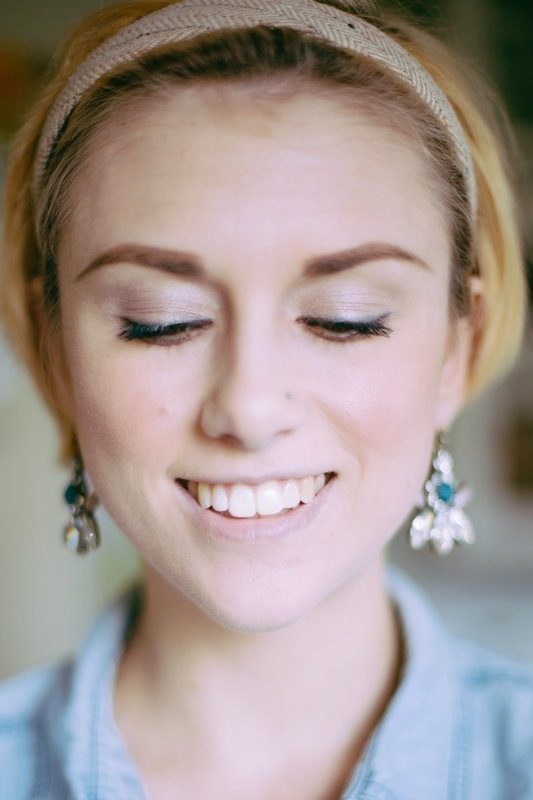 Step 6: Using the pink shadow you used in step 1, smudge some under your lower lashes. I applied it with a MAC 215 brush. 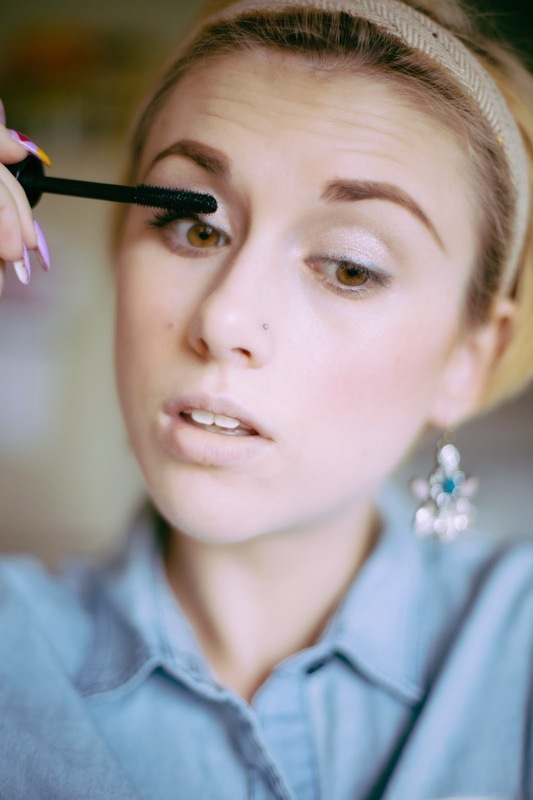 Step 7: Finish off by applying your favorite mascara! I used MAC's 3D black lash mascara. I hope this tutorial wasn't too boring. I really like simpler eye looks when I do them, so I didn't want to create something really dramatic that I never even wore. I rarely go out at night, so daytime looks serve me best. Either way, let me know your thoughts! More eye looks? Never again? Video next time? Craving a sandwich? Tell me whatever! Also, don't forget to sign up for Rocksbox to get unlimited designer jewelry curated just for you! You can get your first month for free with the code ryapiexoxo entered at checkout! 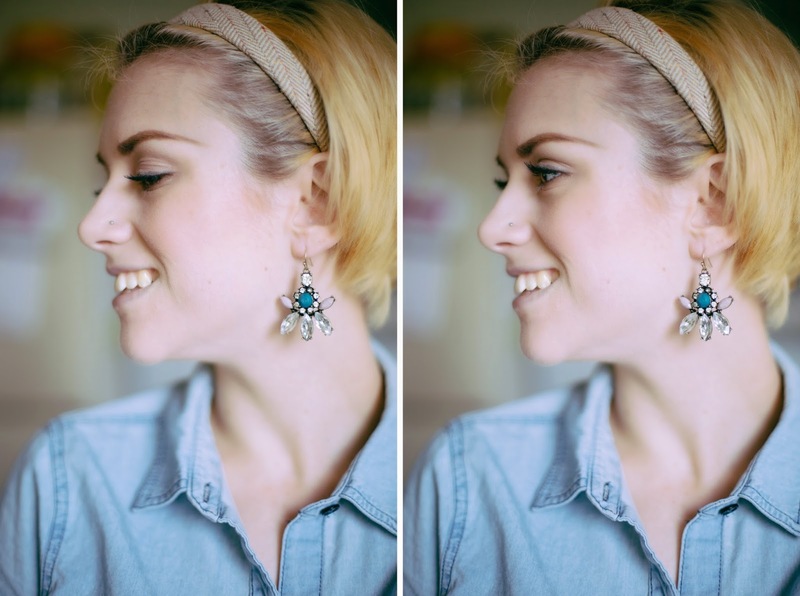 Get sweet earrings like these! Or not at all like these, if they aren't your taste. They have something for everyone, so check it out! They extended the amount of time my code gets you a free month just so all you guys can make sure to try it out! I definitely plan to do more videos soon! I feel like I've been in a makeup rut for so long and doing these (mostly) weekly features is really helping me to get out of it. And Rocksbox is uh-mazing! Although I will definitely say that if I wasn't getting my first few months free, I wouldn't have signed up. I'm going to have to figure out some way to pay the $19 a month when my trial runs out because now I'm addicted! They tricked me! Haha.